Through this question, we sought to develop a clearer and deeper understanding of the specific challenges participants face through seeing, naming, and standing in the brokenness. Christian reconciliation is a process to look at real-world situations of pain and conflict to discover ways to bring on healing and wholeness. Theology is simply talk about God and God’s relation to the world. To quote the lyrics from Marvin Gaye’s song: “Oh, you know we’ve got to find a way…To bring some understanding here today.” This theology talk leads us to look at Jesus’ life for guidance to achieve that understanding. You leave feeling loved and hope-filled. (lecture with lunch break). 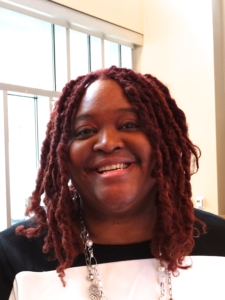 Dr. May is an associate professor of Reconciliation Studies at Bethel University, St. Paul, Minnesota. May also lectures at Duke Divinity School Institute for Reconciliation. 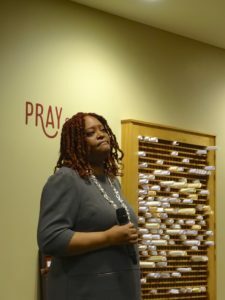 She is a specialist in reconciliationstudies and African American, Black British, and Caribbean literature and popular culture, as well as Biblical Studies, multiethnic and culture expressions of faith, and Christian Hip Hop. She received her Ph.D. from the University of California, Berkeley, and a Master in Theological Studies from the Pacific School of Religion (Graduate Theological Union, Berkeley California). She has over 12 years’ experience teaching in higher education. Her work has been published by Oxford University Press, Taylor & Francis, Walter de Gruyter, Lexington Books, and Routledge. She is a passionate follower of Jesus, a woman of prayer, and a lover of biblical stories and wisdom. Dr. May speaks at the NU Class gathering; all are invited to attend. Dr. Bell preached on the topic of “Revealing the Glory of God” from the scripture text of John 2:1-11 at all three worship services: 8:30 and 11:00 am in the Sanctuary, and 9:30 am in the Contemporary Worship Center. The Rev. Dr. Daniel M. Bell, Jr.
Dr. Bell is Professor of Theology and Ethics at Lutheran Theological Southern Seminary in Columbia, SC. 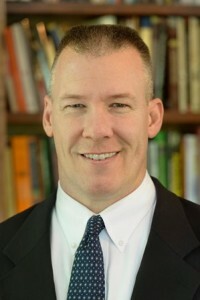 He is an ordained Elder in The United Methodist Church. A graduate of Stetson University in Florida, he earned the Master of Divinity degree from Duke Divinity School and a PhD (in theology and ethics) from Duke University where he worked with Dr. Stanley Hauerwas. He has authored several books, including Liberation Theology After the End of History (Routledge, 2001), Just War as Christian Discipleship (Brazos, 2009), and The Economy of Desire: Christianity and Capitalism in a Postmodern World (Baker Academic, 2012). Dr. Bell is a popular speaker at colleges and universities, campus ministries, and churches on topics such as war and peace, the moral life, stewardship, and mission of the church today. He has presented papers before distinguished organizations such as the Latin American Studies Association International Congress, the American Academy of Religion, the Society of Christian Ethics, and the Irish School of Ecumenics. His work has appeared in various journals including Christianity Today, The Christian Century, Modern Theology, Journal for Peace and Justice Studies, Communio, Cross-Currents, and Studies in Christians Ethics.